We are not “docile”, “obedient”, “exotic”. We know that the challenges for disabled, LGBTQI+ women of color are undoubtedly difficult to grapple with. For many Asian American feminists, the question of what Asian American feminism even is and why it is needed thus often arises. 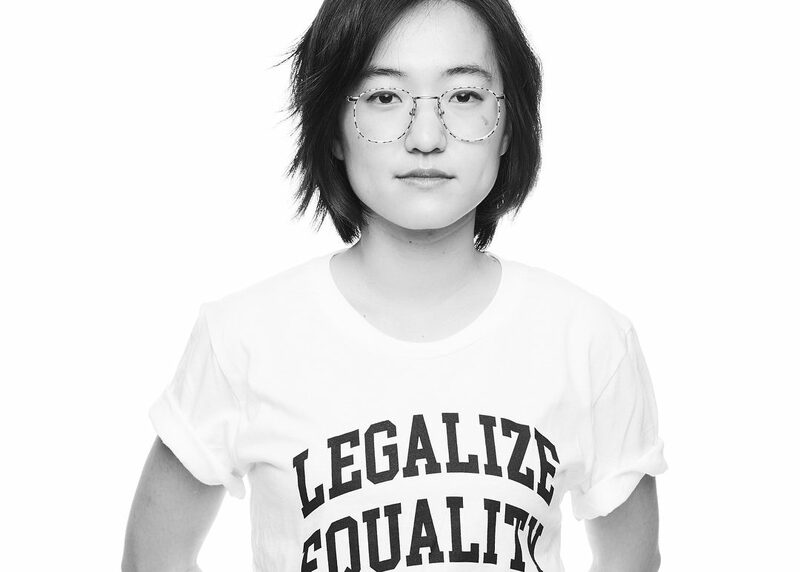 To Julie Kim, founding member of the Asian American Feminist Collective, Asian American feminism is a framework she often refers to and that she aims to cultivate with the Asian American Feminist Collective initiative. In New York, Julie describes the circumstances for how she personally became politicized as an Asian American feminist. The following is a transcript of a conversation between myself and Julie, edited for length and clarity. Currently, Marvel X-men’s Jubilee is the unofficial face of Reappropriate. At one time, it was DC’s Cassandra Cain — a neuroatypical, mute Asian American adoptee who was the first Asian American and woman of color to take on the mantle of the Batgirl. She is also undisputedly one of the best martial artists in the DC Universe, owing to her abusive childhood when she was deprived of auditory language (or any form of social contact) and instead immersed in deadly martial arts training. I grew up on Jubilee through her appearance in the 1990’s X-Men cartoon series. 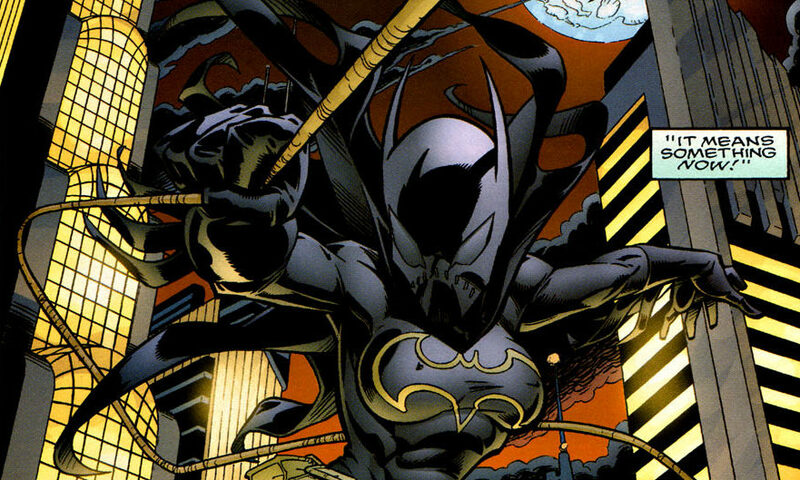 Cassandra Cain’s Batgirl occupies a different space in my fandom: her journey of self-exploration and self-agency as the newest Batgirl entered my life when I was just setting out to discover my own budding political activism. Cassandra’s efforts to reconcile her troubled past with her new life as part of the Bat-family resonated with my own exploration of political and personal identity. I love Jubilee; but, in many ways, I identify with Cassandra Cain. 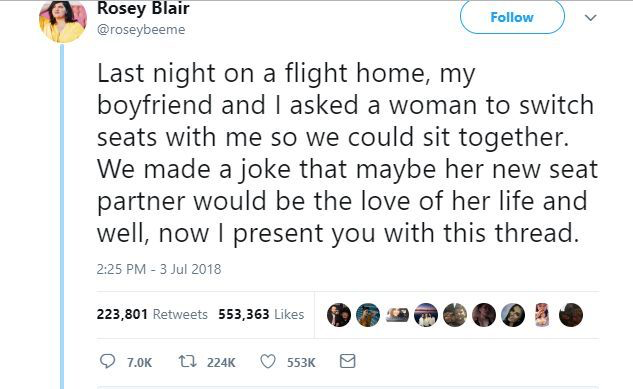 While many have received Blair’s thread as a simple feel-good love story—a love-at-first sight saga—it has been met with some pushback. Several writers have examined the story as an example of the prevalence of the dystopian gaze of social media over our everyday private lives, attributing a creepy voyeurism or even a malicious breach of privacy to Blair. Yet few have critically examined the saga through the lens of racialized and gendered power dynamics in online space. 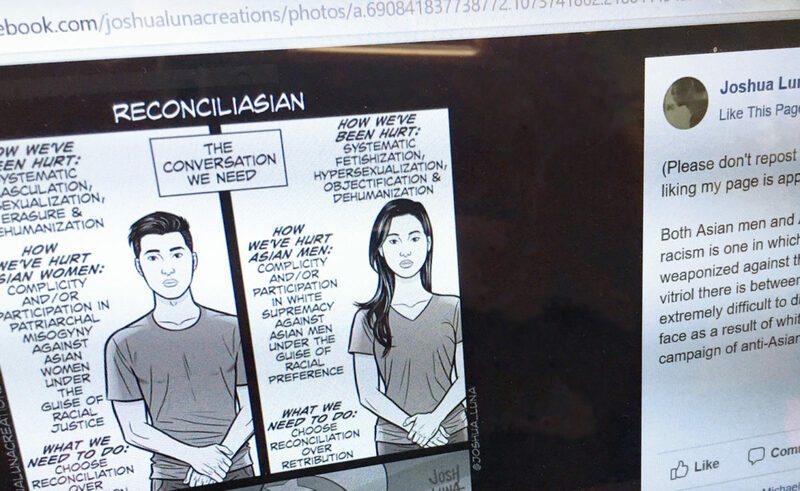 Editor’s Note: Earlier this month, artist Joshua Luna published a web comic titled “Reconciliasian” addressing gender relations in the Asian American community. This post is a response to that comic. By the very nature of the symmetrical dichotomy presented by the comic’s layout, Luna implies equivalency. 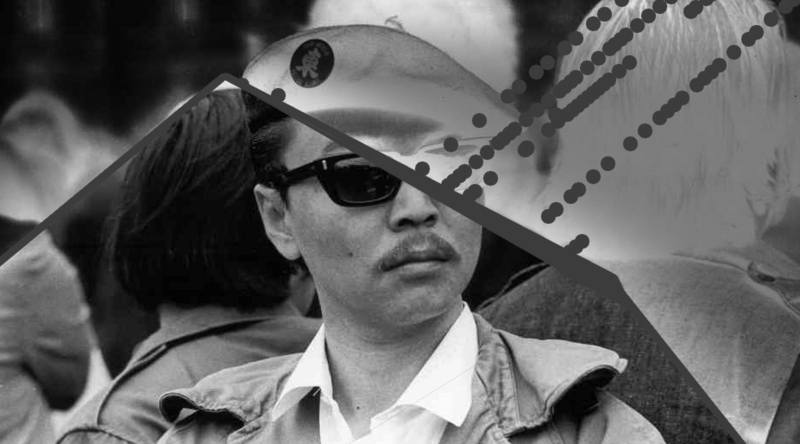 That apparent premise – that Asian women and men suffer equally and have also hurt each other equally, if in different ways – is used to argue that we must reconcile with each other to resist our true enemy. The problem with that premise is that the equivalency depicted in the comic is false.